After years of promise, the balance has shifted toward action. Market leaders in banking, insurance, telecommunications and healthcare are now generating statements, invoices and other critical customer transactional documents in color—in far greater numbers than ever before. 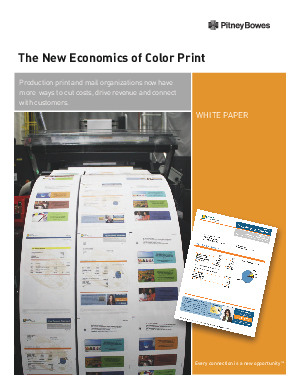 While the benefits of color print have been documented for decades, the new economics of color print have only recently tipped from black and white to color.